A driver in France told me that people are quick to blame other nations, but the French need to remember that the Vichy government and the French put up little resistance to the deportation of its citizens. While this is debatable, the memorial is uncontrovertibly moving and thought-provoking. 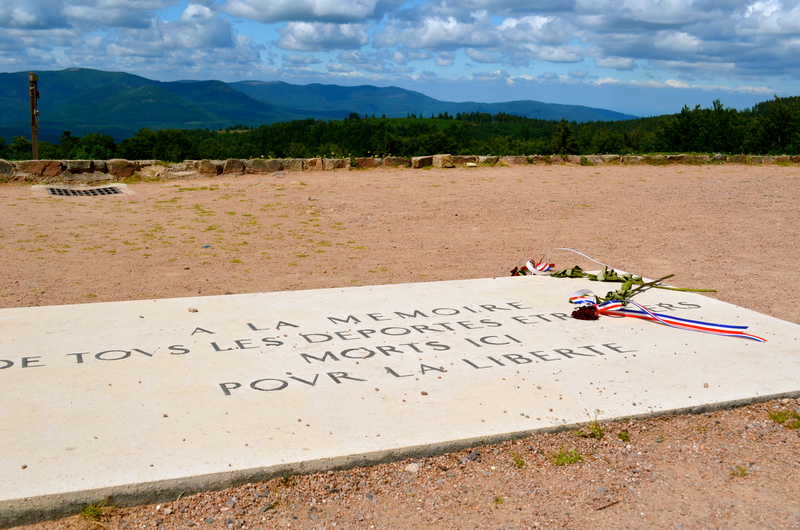 The Memorial des Martyrs de la Deportation is a memorial to the 200,000 people (deported from Vichy France to Nazi concentration camps between 1940-45, during World War II. 85,000 were political activists, resistance fighters, homosexuals and gypsies. Only 2,500 of those deported survived. Behind Notre Dame on the Isle de la Cite on the site of a former morgue, it is a quiet gem of a memorial. 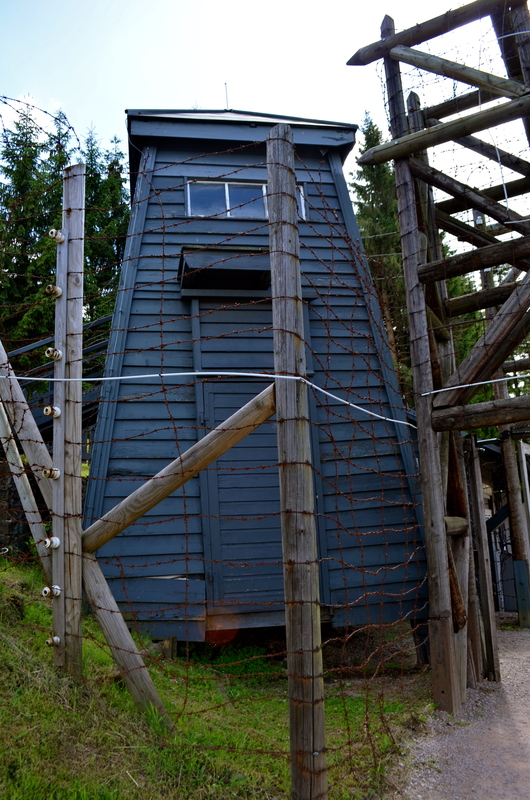 It was designed to represent features of the concentration camps with narrow passages, tight stairways, spiked gates and restricted views of the horizon. The installation is a long narrow corridor lined with small stones of quartz crystal. Each stone represents one of the individuals deported during World War II. It was designed by French modernist architect, writer and teacher, Georges-Henri Pingusson. It was unveiled by President Charles de Gaulle in 1962. 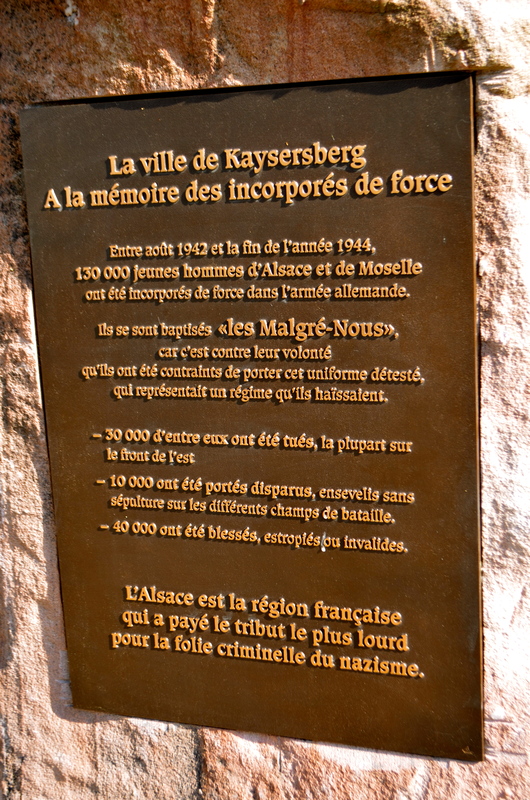 Malgré-Nous is a French phrase (at the bottom of the above monument) that means “despite us” or “in spite of us.” It refers to inhabitants of the Alsace and Moselle (part of Lorraine) areas of France who were conscripted into the German armed forces during the WWII. 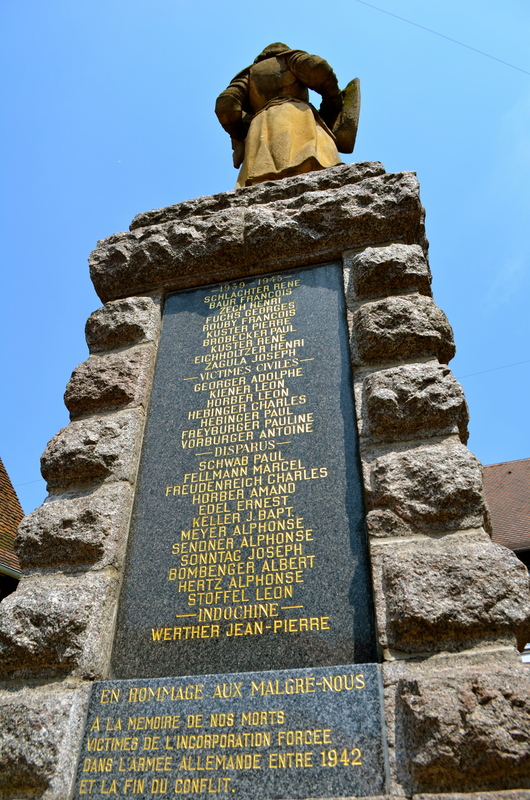 We first noticed it on monuments and memorials when we visited Alsace (Belgians and Luxembourouise were also conscripted). France and Germany repeatedly fought over the territory. In 1639, the French conquered Alsace to keep it from the Habsburgs. In 1871, Alsace (and Lorraine) fell under German control when France lost the Franco-Prussian War. With Germany’s defeat in the First World War, the area became French once again and Germans who had settled in Alsace were expelled. When Germany invaded and annexed the area on October 18, 1940, the departments fell under German control. By 1942, service had become compulsory and French inhabitants became part of the Wehrmacht (the German army), the Luftwaffe (the air force), the Kriegsmarine (the German Navy) or the SS. Others were sent to the Eastern Front to fight Stalin, many ended up in interned in Axis Soviet prison camps (like the one in Tambow, Russia). 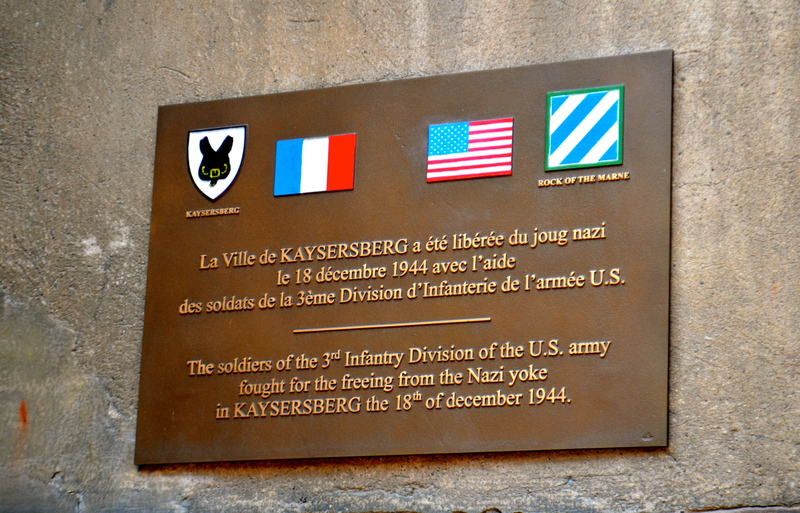 Others fought in more local battles in Normandy such as Das Reich in the Falaise pocket. Others deserted. They were shocked when the U.S. military treated them as deserters, not as the liberators of France wanting to fight for their homeland they believed themselves to be. Many were sent to camps in the west of France, alongside German prisoners who didn’t look too kindly on people they viewed as traitors. 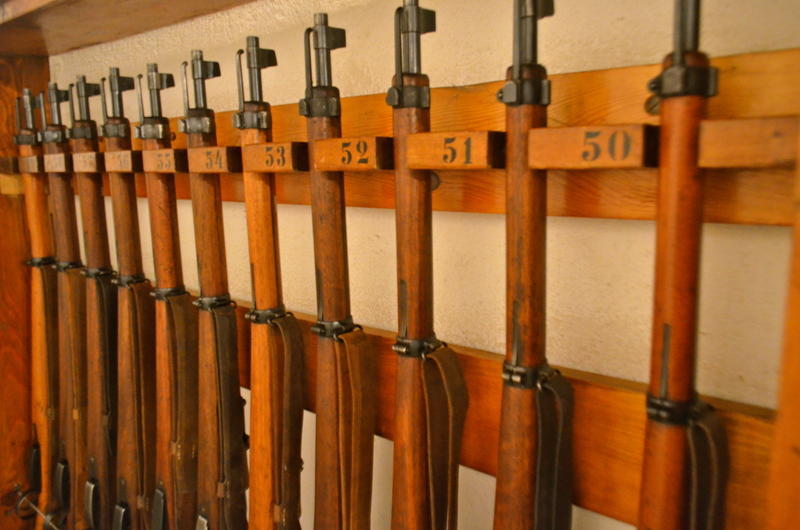 Those who defected to the Soviets were also seen as deserters or spies and shot. Still others deserted to join the Resistance or fled to Switzerland, but their families were deported to labor or concentration camps. This policy effectively forced conscripts to remain in the German Army. 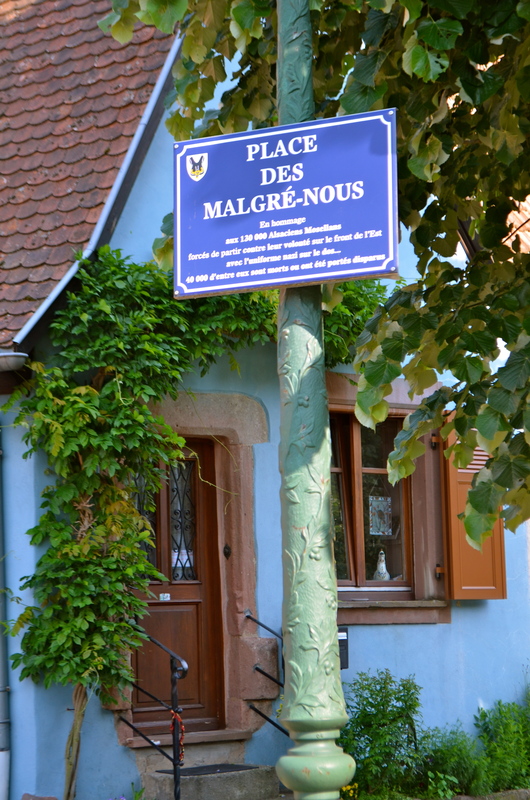 Malgré-Nous who survived the war were considered by some as traitors or Nazi sympathizers after its end. An amnesty law enacted on February 20, 1953, forgave crimes committed by Malgré-Nous. Of the 130,000 men who were conscripted Third Reich in the Second World War, 32,000 were killed, 30,000 wounded and 10,500 missing and presumed dead. We’ve done our fair share of traveling in France lately. 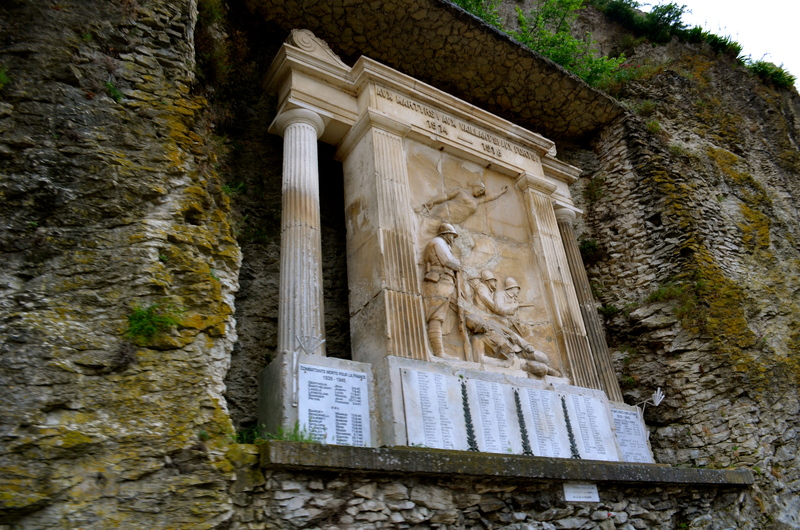 We’ve noticed virtually every town there has monuments to local citizens who died in service of their country. The lists of names, often including those deported and killed locally, are a touching remembrance. 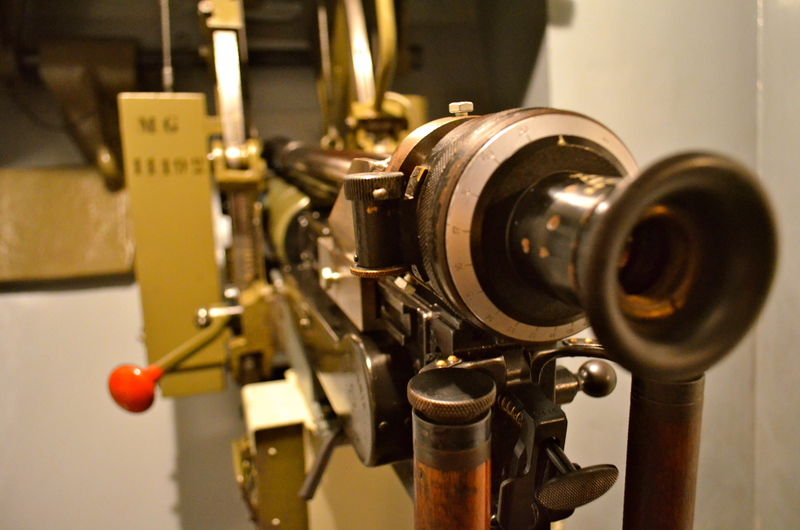 Technical innovations like the machine gun, poison gas, tanks, and aircraft appeared in battle for the first time in World War I. 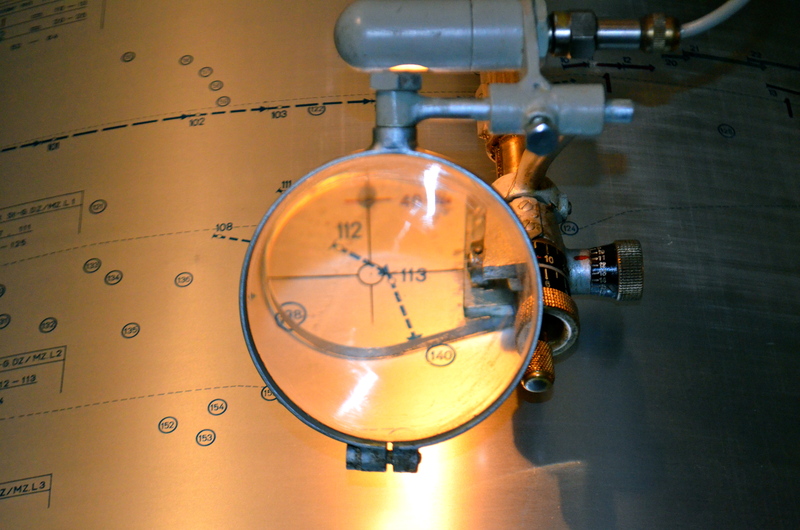 Scientific advances and industrialization joined to create enormous death tolls. Germany lost 1,800,000; the Soviet Union lost 1,700,000; France lost 1,385,000; Austria lost 1,200,000; Great Britain lost 947,000. While that may seem small in comparison to some of the other countries listed, about 1/3 of Great Britain’s male population died in The Great War! Extrapolating, it’s difficult to imagine the devastating effects on experienced by some of the other countries listed, especially those who had the war fought on their soil. Although we haven’t seen quite as many such monuments in Germany, we did see a few there too. 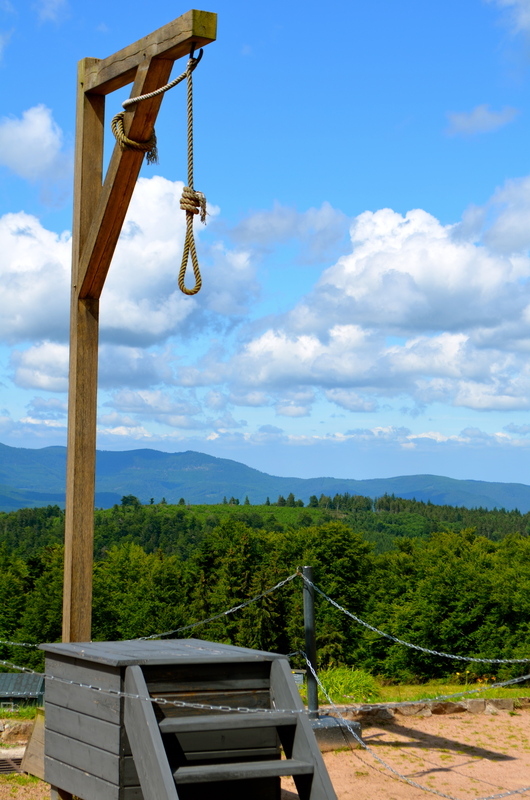 We came across the one below in Bad Munster, near Bad Kreuznach in Germany. After WWII, the holiday was expanded to remember those who served in that war. In the US, we’ve had a significant number of wars over the last century Veterans Day honors and thanks veterans for their service to their country. War requires sacrifices and troops bear more of them than most. It is important to remember those sacrifices and the people who made them. War isn’t a triviality. It’s important to remember that it carries with it a human cost. Whether you call it Armistice Day or Veterans Day, it is a time to remember the price paid, the sacrifices of those that have served and honor those that did. 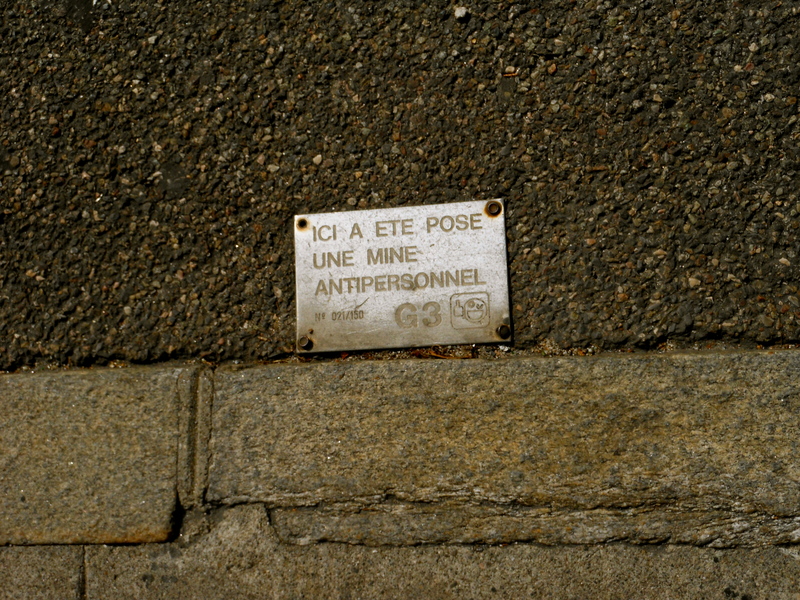 He was surprised to see signs for a concentration camp when we were in Alsace. 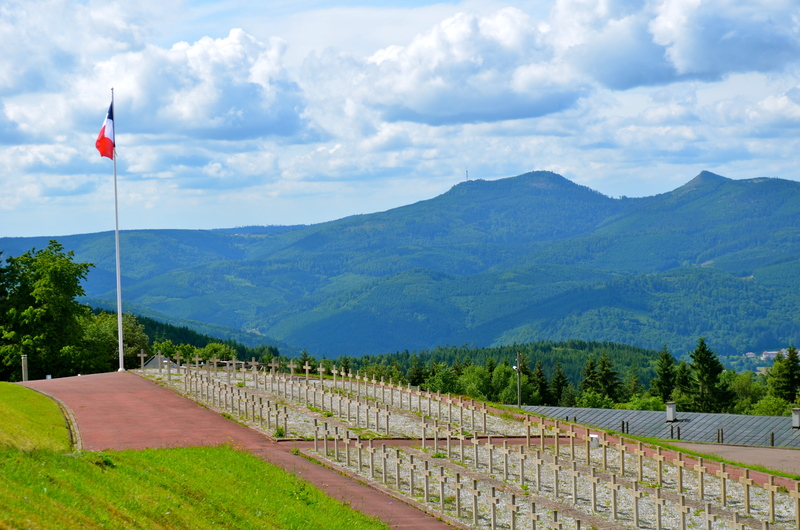 Hidden away in the Vosges Mountains, the Natzweiler-Struthof is the only concentration camp established by the Nazis in what is now France. I went to see it. Like the Holocaust Exhibit at the British War Museum, other concentration camps or pretty much any other sign of such horror, I found myself disassociating myself from what I was seeing so that I could continue to view the disturbing exhibits. 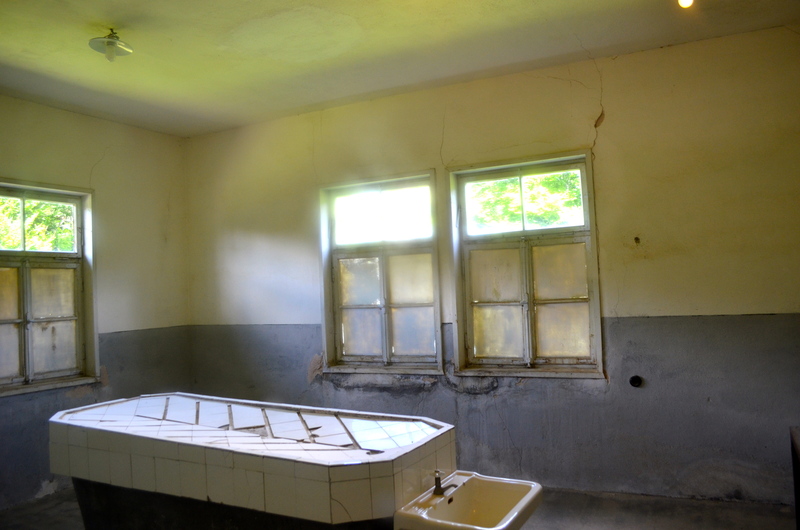 A camp for political prisoners, including those involved in the resistance movement. 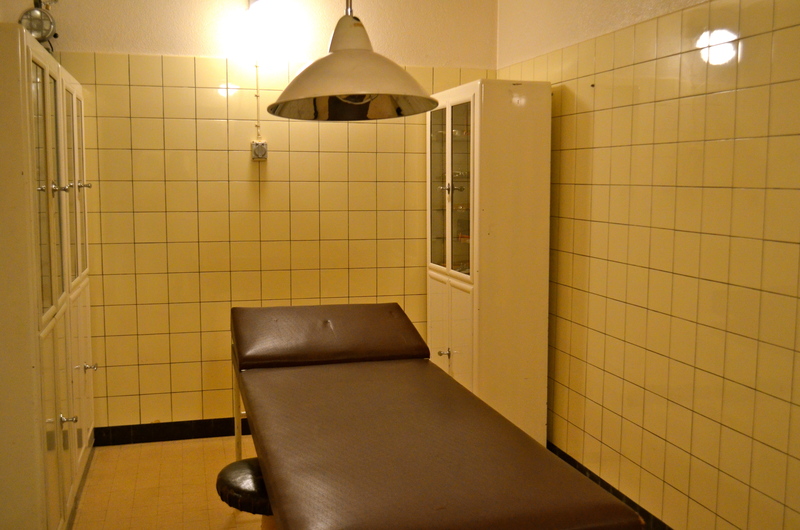 Nevertheless, the death rate was 40% due to the strenuous work (Prisoners worked in nearby granite quarries and in construction projects) medical experimentation, poor nutrition and mistreatment by the SS guards. 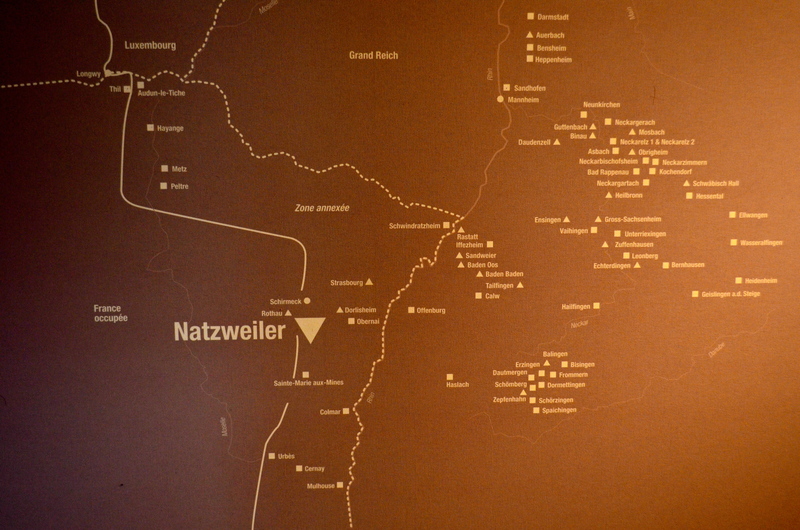 As the industrial production requirements of the was increased, Natzweiler developed a system of up to 50 adjacent sub camps (shown on the map above). The death rate at these camps was 80%. I was surprised to learn that one such camp was Neckarelz. There, they converted an existing gypsum mine into an intricate tunnel system that housed a relocated Daimler-Benz Aircraft engine plant! 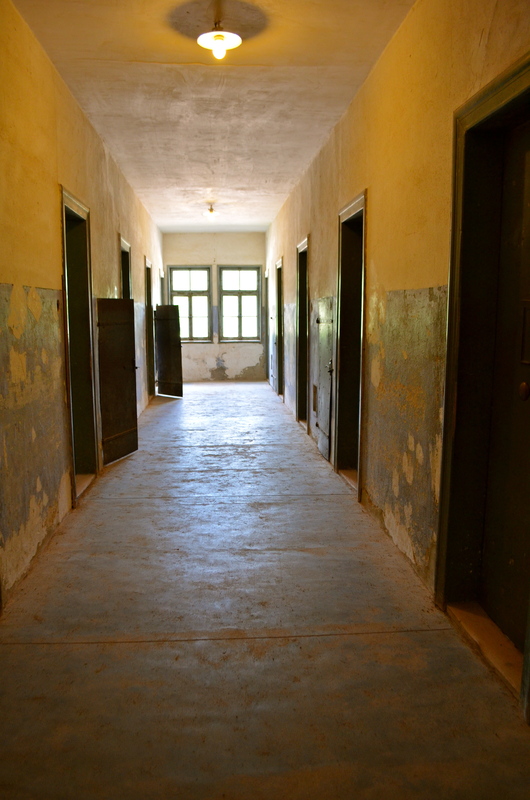 Many “Night and Fog” (Nacht und Nebel, a German effort to subdue a growing anti-German resistance) prisoners were detained there. 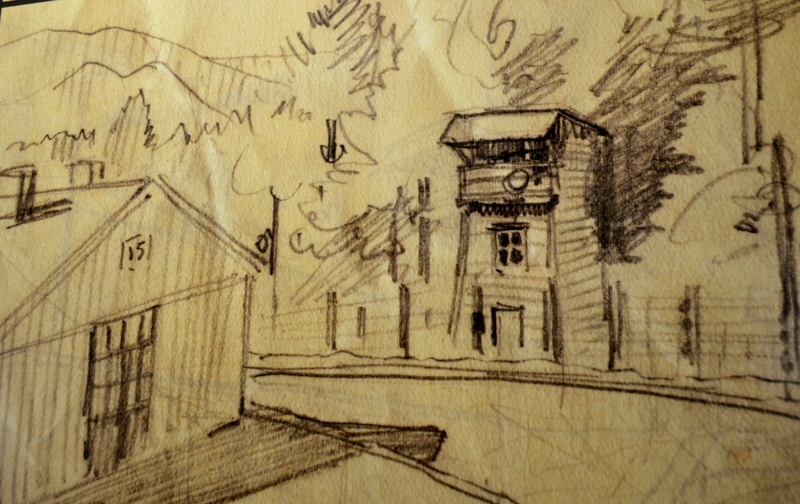 Suspected resistance fighters just disappeared in night, the Germans held many of them at Natzweiler-Struthof. 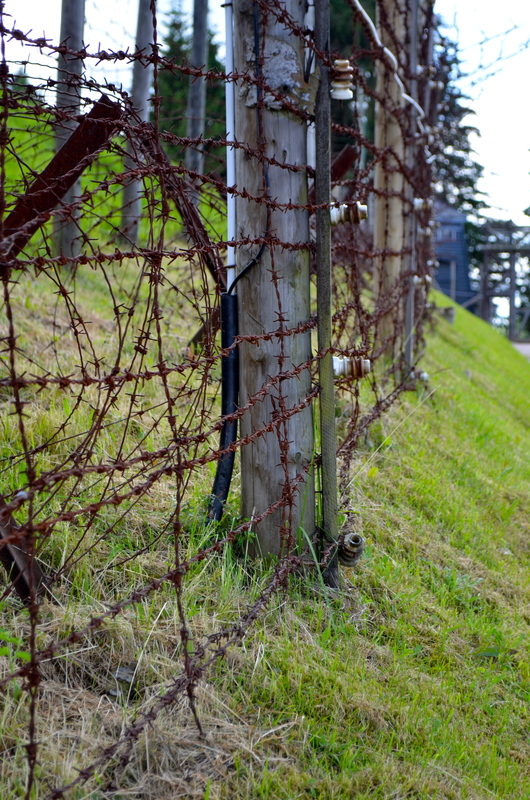 With the Allies closing in, Nazis evacuated the camp sending prisoners on a “death march” in September 1944. On November 23, 1944, it became the first concentration camp in Western Europe liberated by the Allies. One of the most unusual and surprising things I saw was art. Several talented artists (Henri Gayot, Jacques Barrau, Ernest Gillen, Rudolf Naess) were held and the camp and some of their art survived. 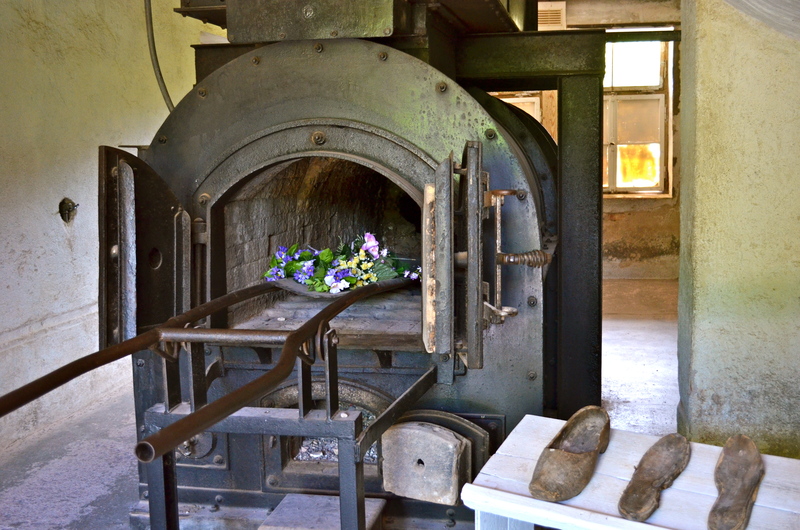 Shockingly, neo-Nazis burned the camp museum in 1976. It was subsequently rebuilt, but important artifacts and buildings were destroyed in the fire. 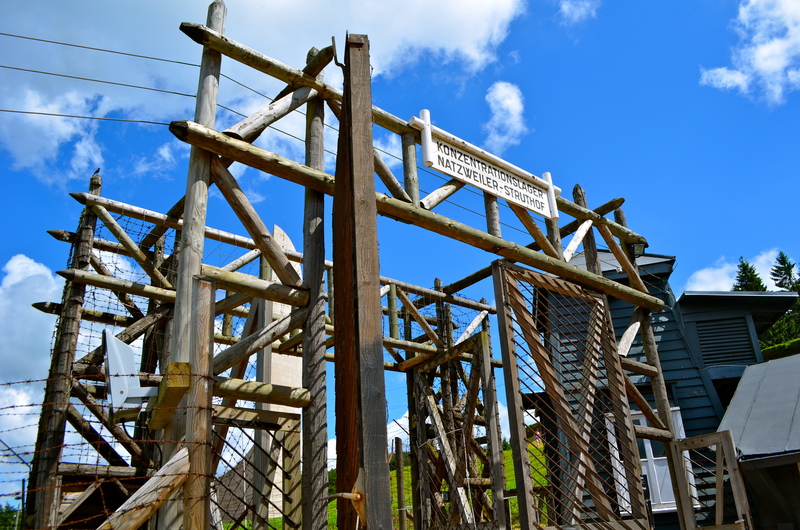 As disturbing as it was, I am grateful to have had the opportunity to step behind the formerly electrified fences and learn about what happened there. 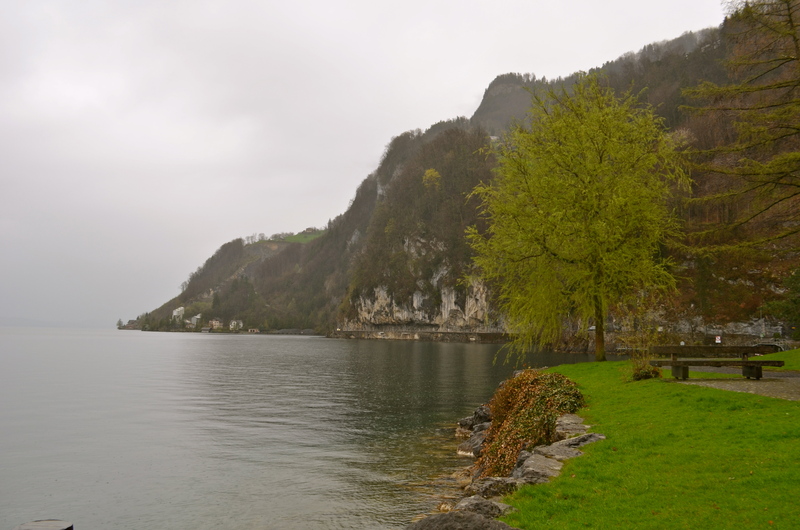 Last weekend, we went to Lucerne and visited the fortress of Fürigen. 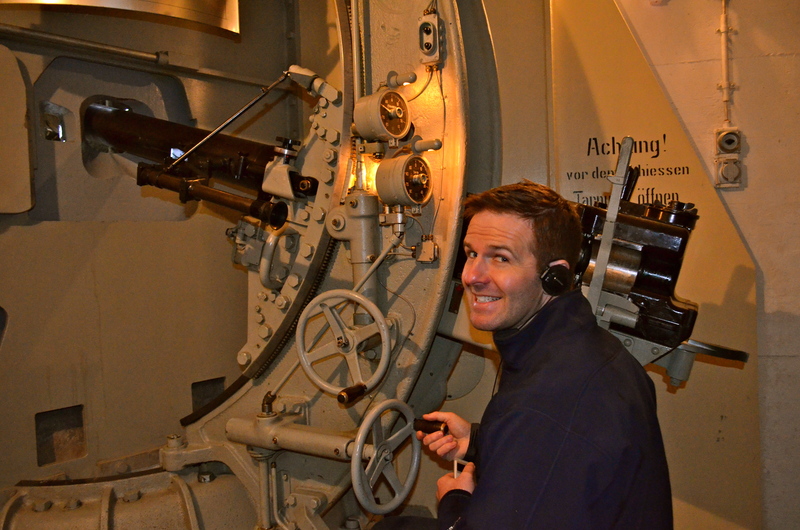 We had been looking forward to visiting some of Switzerland’s formerly hidden fortresses that have been turned into museums. Since we were near Lucerne, we finally got the chance. Can you spot the entrance in this photo? Festung Fürigen Museum zur Wehrgeschichte (aka Fort Fürigen) is part of Swiss National Redoubt defense plan (Schweizer Alpenfestung or Réduit Suisse) to respond to foreign invasion. Developed in by neutral Switzerland the 1880’s, Germany’s invasion of its neighbors necessitated updates (Germany even developed an invasion plan for Switzerland). 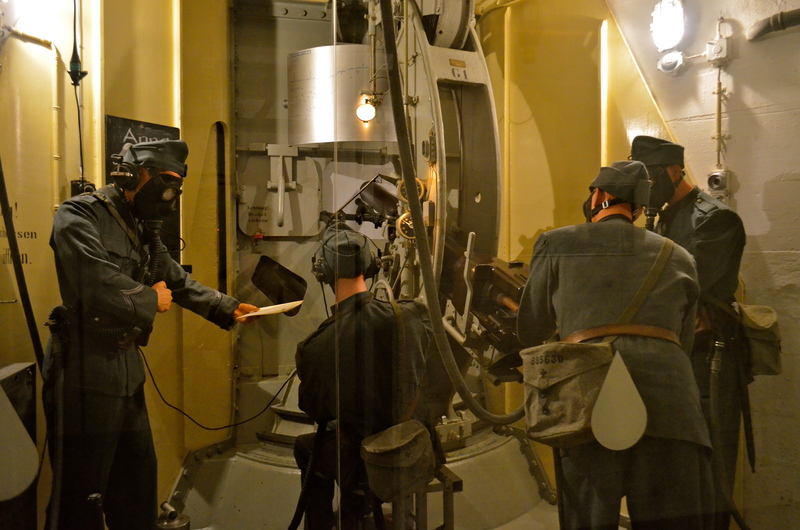 Fort Fürigen was part of a series of fortifications around Lake Lucerne that were rushed to completion in 1941-2 to protect nearby roads and rail lines. The entrance is intentionally well-camouflaged. We had to double back and ask for directions to find it. 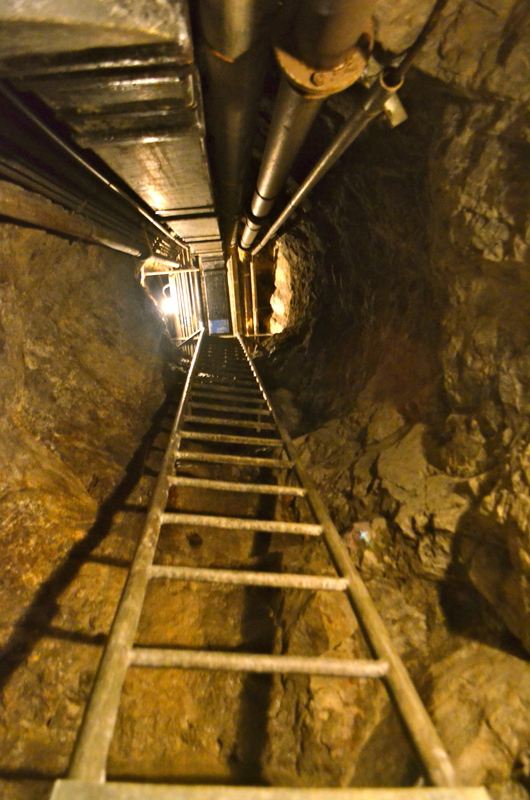 The nondescript entrance leads to a 200-meter (656 feet) tunnel system leads into the mountain. 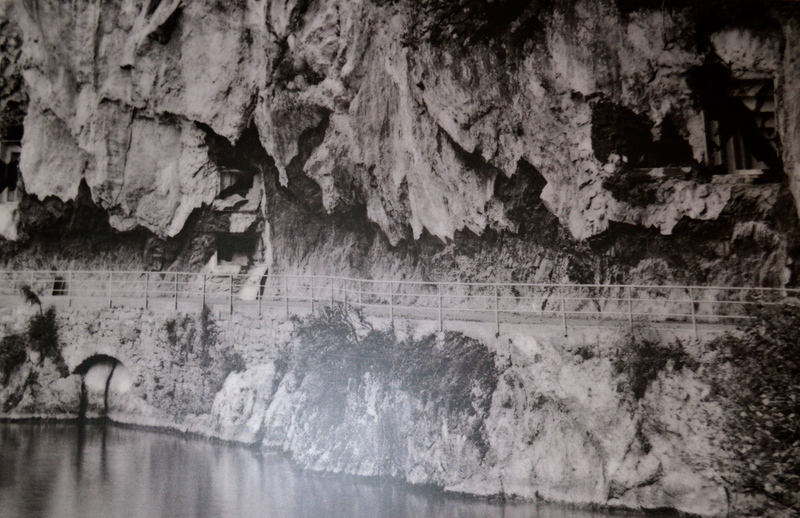 A private telephone line connected the lake’s fortresses but they also used the radio to communicate with each other. 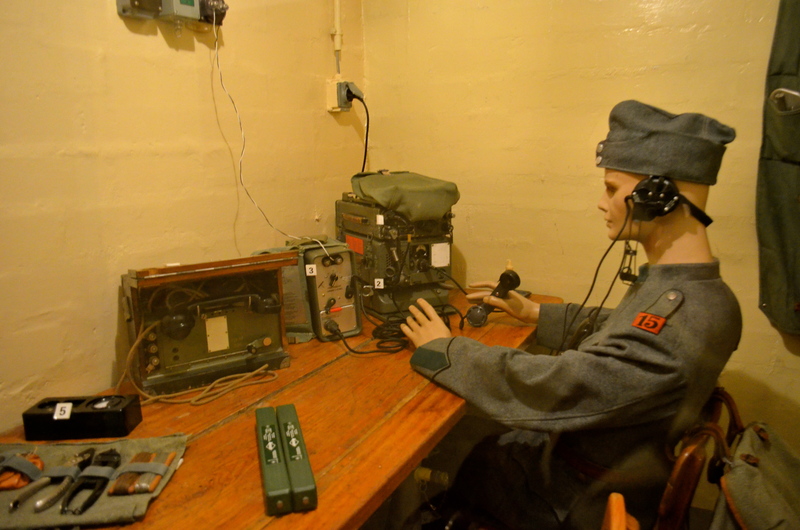 Entering the fort, you pass the radio station (located near the entrance to assure clear reception) and several sets of machine gun defenses. 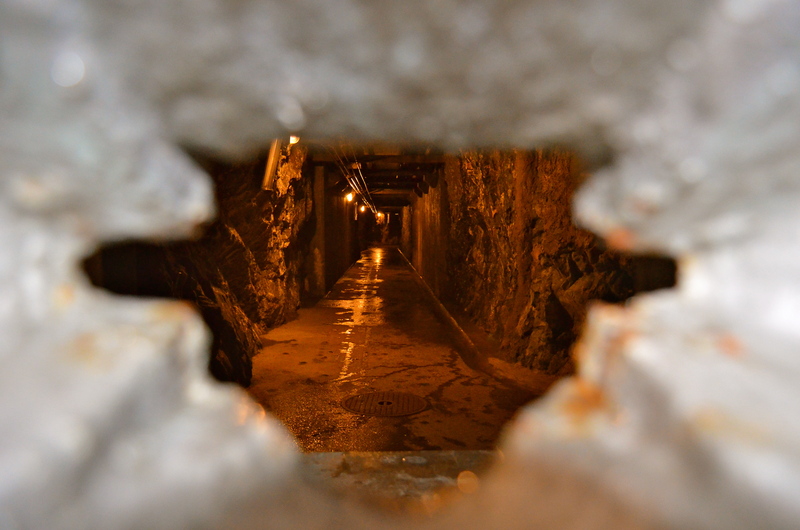 The view down the corridor from the gunner’s nest. Once past the heavy fortifications you see the workings of the fort. 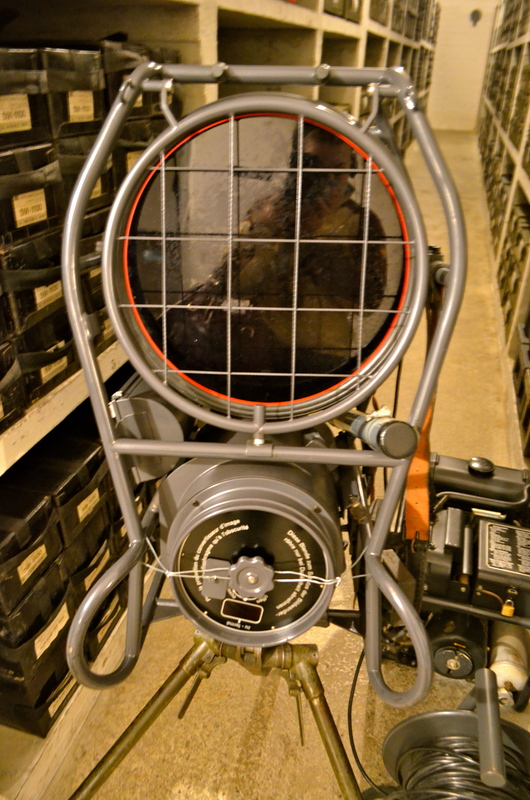 They have the guns, a filter for radioactive material, air shafts, devices to monitor the air for poison gas, storage depot and more on display. You can actually play around with this gun. He maneuvered it into a decent spot and dutifully posed for a photo when he wanted to play. Hence the hurry up and take the picture smile. 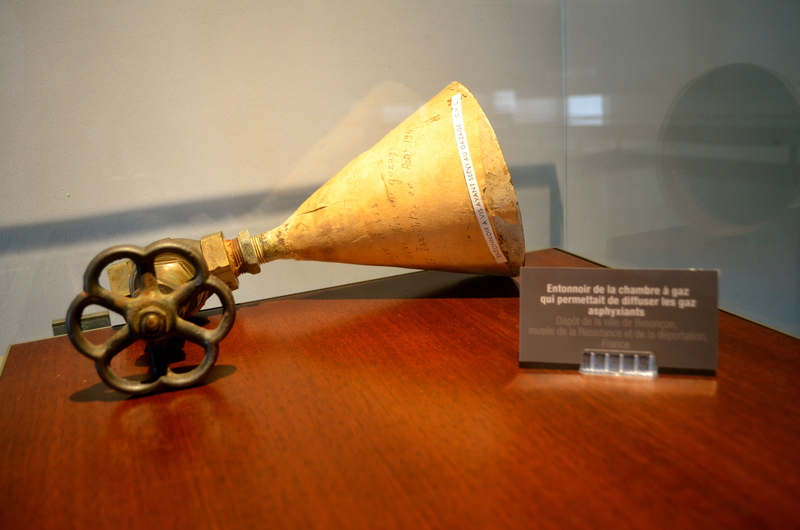 The largest problem with these gas masks was the limited range of motion allowed by their connection to the ceiling’s purified air hookup. 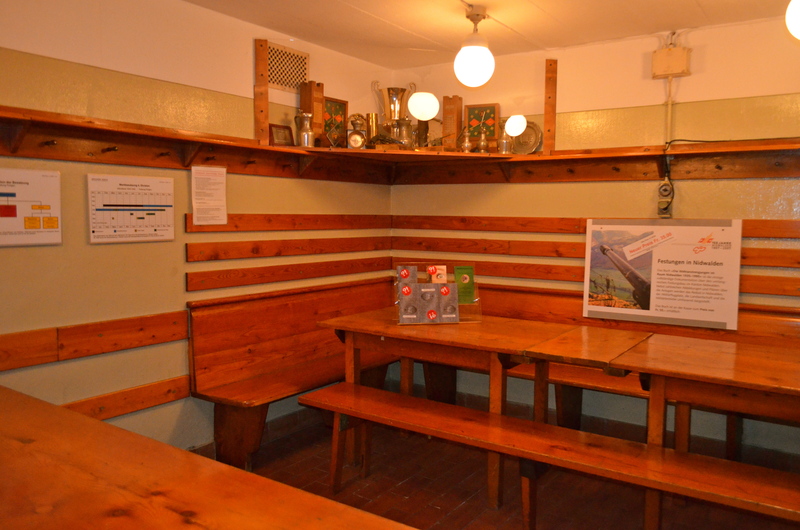 While the infirmary resembled any 1940’s hospital movie set, the bunk house and dining area looked remarkably like many Swiss ski lodges. 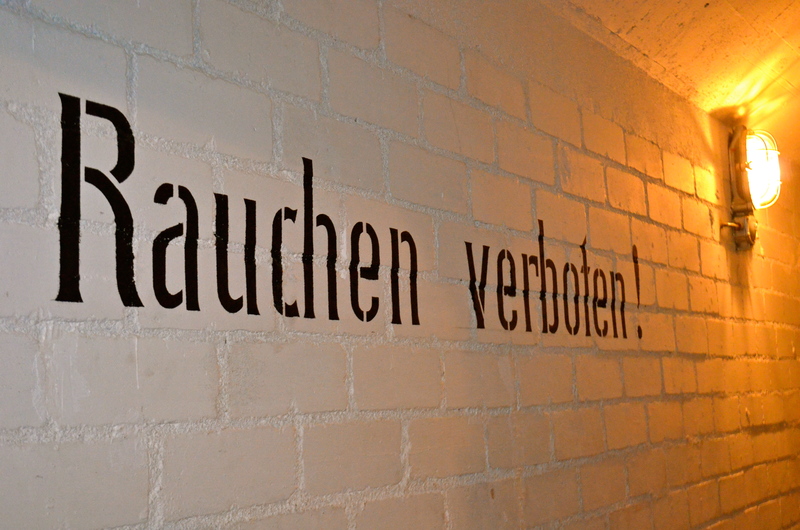 Since they were storing munitions in the bunker, smoking was forbidden…in some areas. It must have been like prison, where the talk of banning cigarettes leads to mutiny and so it was only limited in essential areas. 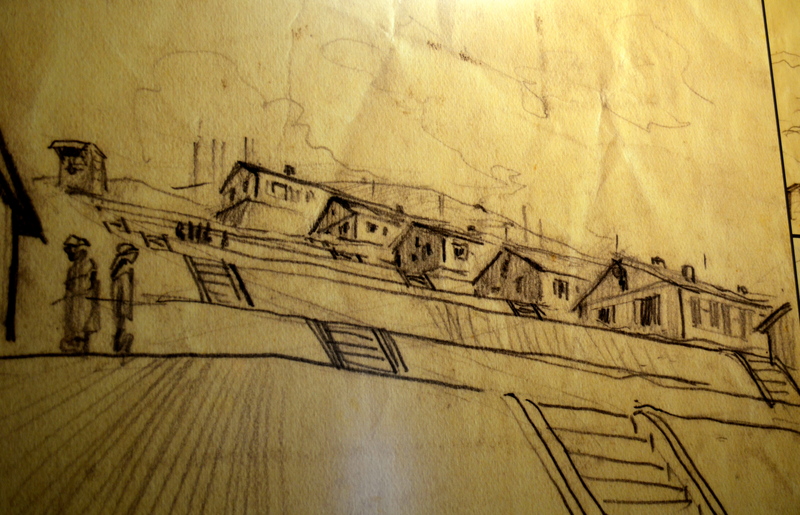 After all, the living quarters were gas-proof. The Swiss had good reason to build defensive outposts like this one. Hitler’s plans to invade Switzerland were uncovered post-World War II. The Soviet Union’s also recommended invading the country. One fortress down, only about 14,999 to go. No smoking! If you went down the hall and through a door to the residential area, there are ashtrays hanging on walls. Go figure.